It may still be warm in some parts of the country but Holiday season is coming up – fast! With this being our first official week of Fall, it’s getting close to the time that customers start planning their holiday shopping. 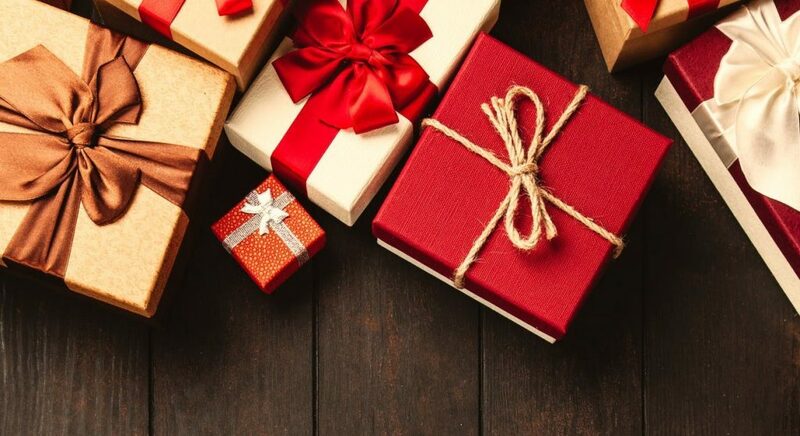 According to the National Retail Federation, many shoppers start budgeting for their holiday lists in October (link: https://nrf.com/resources/consmer-research-and-data/holiday-spending/holiday-headquarters). Even though your sales may not pick up until November, you have the extra training resources available right now. Giving your staff (especially the seasonal portion) the time to fully train up and be ready to deliver excellent customer service will allow for a smoother, less frustrating transition into the holiday months for both you and your employees. Black Friday is just around the corner: we recommend having your seasonal team in place up to one month before Thanksgiving. The Holiday season brings a lot of people – and their stress – out. Long waits in lines may leave your customers feeling irritated and upset. But you can stand out to these customers, and even entice them, with a couple of simple solutions that focus on making customers feel more valued and less like they’re wasting their time in line. The first solution is to set up mobile registers and meet your customers on the sales floor. Not only do mobile registers cut wait times down in half when paired with stationary registers, but they give customers the freedom to browse while they’re waiting. The second solution is to provide digital displays. These help to occupy customers and draw attention to lookbooks and sales in a way where traditional displays usually fall flat. Speaking of displays, let’s break down the key to using good merchandising to build an effective display. The best way to build a display is to refer back to your reporting tools and identify your average transaction spend. By using these numbers, you can target the average purchase for each customer and set your displays in that range (or a little higher). Rather than scaring customers away from an extravagantly exquisite display due to sticker shock or from nice but unrelated pieces, it’s better to highlight specific products that customers are likely to buy in tandem. Think about your local grocery store: during Fourth of July weekend, the hot dog and hamburger buns and condiments necessary for the ultimate barbecue cookout are all grouped together or within eyesight; as are all the ingredients for pumpkin pie and green bean casseroles during the end of November. Grocery stores are fantastic at projecting and identifying what consumers will need to execute their holiday meals and fill their baskets, which is the true secret to a winning holiday season. Offer your customers add-ons and incremental sales on related pieces, such as cold weather accessory sets to help them fill their baskets and carts. Short and sweet (and maybe common sense): You need to have great inventory to get people through the door. At this point in the year, you’ve probably already planned and ordered what you hope and expect to sell through the holiday season. But what happens if your hot item completely sells out within the first week of the shopping season (besides celebration)? What about the rest of the season? Will customers still have the incentive to shop now that your hot ticket item is gone? It’s important to have a backup plan and keep alternatives at the ready to maintain a steady traffic flow, all season long. This will help your business make a lasting impression. Timing is everything – especially with the holidays. If your promotions run too soon, you run the risk of being forgotten. If they run too late, your customers may have already budgeted for other products with different retailers. What’s the best time to run your promotions? Ideally, you want to reach your customers before the big spending dates. We suggest the Sunday and Wednesday before Thanksgiving: they’ll probably be preparing for their feasts but a specific conversation with family on that Thursday might give them a flashback to one of your promotions, or they’ll see a product they were planning to get on Black Friday. While this is a great time to reach your customers, don’t rely on this single e-mail: it may get lost in their busy inbox. Stay in their minds with a teaser e-mail or two in addition to your actual promotion e-mail. Check out our sister company OptCulture. It’s no secret: the key to being a successful retailer and ensuring continual growth is to drive business back post-holidays. Your CRM will help you grow relationships with the customers that visited your store during the holidays, but your gift cards can help you bring new business in during the year. In fact, according to GiftCards.com (link: https://www.giftcards.com/gift-card-statistics), 72% of consumers will spend more than the amount of their gift card by an average of 20%. Keep traffic going until the end of the year to maximize your success and clear out your remaining inventory. December 26th is a great time to start a Holiday Closeout Sale and another way to leverage your CRM to let customers know that there are huge discounts. Create a positive, lasting impression on your customers by using all your resources and tools. Additionally, asking customers to leave feedback and reviews on products or services can help you plan for 2019! Hopefully by using our Holiday Checklist your 4th quarter goes by smoothly.